This month we are introducing James Loomis to the readers. 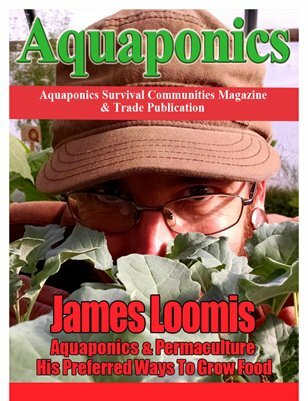 James has been writing for our magazine for a few months but he is also an avid aquaponics and permaculture grower. He has a great interest in helping new farmers get started and working with established ones. We also have Dr. Thierry Vrain writing about glyphosate and its relationship to our gut bacteria.